Selftraits | Happy Canada Day! On July 1st, 1867, the brothers of confederation banded together to create the united and independent nation of Canada. 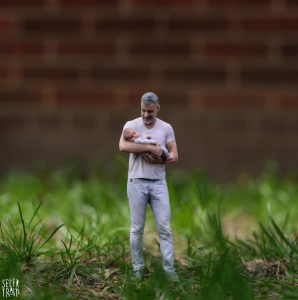 On July 1st, 2015 the 3D printing company Objex Unlimited created the 3D scanning and printing studio, Selftraits. So with the flash of a camera (or 135 cameras to be exact) a brand new line of fun, creative, family friendly and photo-realistic 3D Selfies were born! Over the past year, we have had the pleasure of scanning and printing thousands of interesting, friendly, and creative individuals. 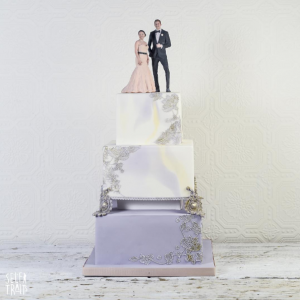 From wedding cake toppers to family portraits, it is exciting to know that we are providing our customers with a product that will be cherished and kept for the rest of their lives! Since July of 2015, we have also used Selftraits as a way to give back to the community. Through the #projexselfie initiative, we have had the pleasure of working with various organizations across the GTA, including, Children’s Breakfast Clubs of Toronto, wear #plaidfordad, the Paralympic Committee and many more! Since the first #projexselfie, we have been able to help raise thousands of dollars for these organizations! In all, the best part about our product is the customer’s ability to put their own creative spin on his or her Selftraits. Whether it’s their clothing, pose, or facial expression, we are consistently blown away by the creativity of our customer base, and cannot wait to share this product with even more people moving forward! 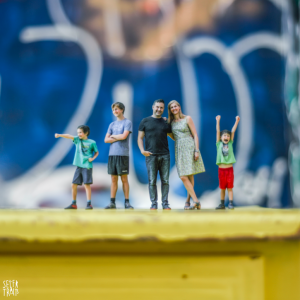 So from our family to yours, happy Canada Day and we hope to see [and scan] you very soon!